I arrived at Dungeon Ghyll about 12 and parked in the hotel’s car park for £4 for the day as opposed to the national park authority’s car park opposite for £6.50. I’ve just found out there are National Trust car parks at Stickle Ghyll and Old Dungeon Ghyll so I could have parked for nothing. They weren’t very obvious is all I can say. I didn’t actually get going until 12.30. 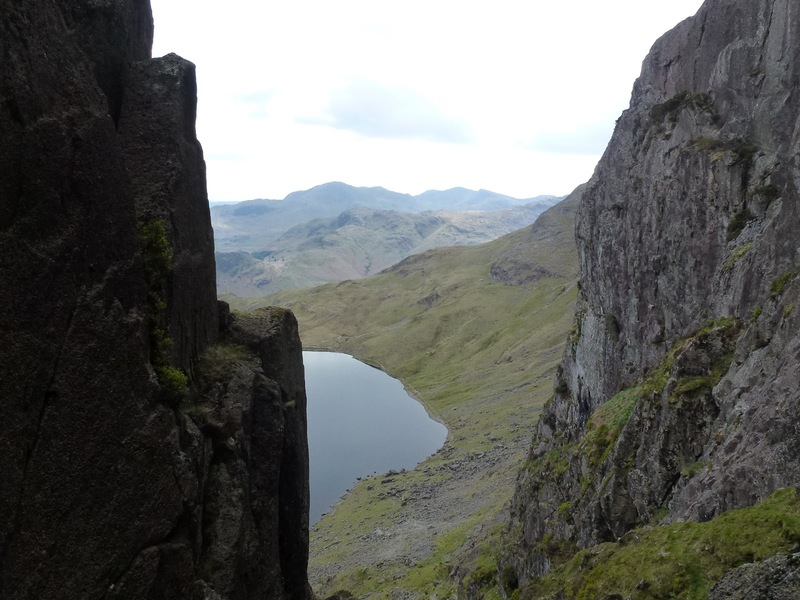 My plan was to climb Pavey Ark via Jack’s Rake and then once up, do as many Wainwrights as I could fit in. Really I should have started earlier but I was so tired it didn’t happen. I know exercising more makes me less tired but at the moment I am very tired most of the time so in a vicious circle which is hard to break out of. I got up Dungeon Ghyll easily, taking the right hand path but crossing over so as to be on the left side at the top. A dam is shown on the map which I guessed correctly that it would be walkable but I didn’t want to take any chances. The paths in this area are all very good and new. 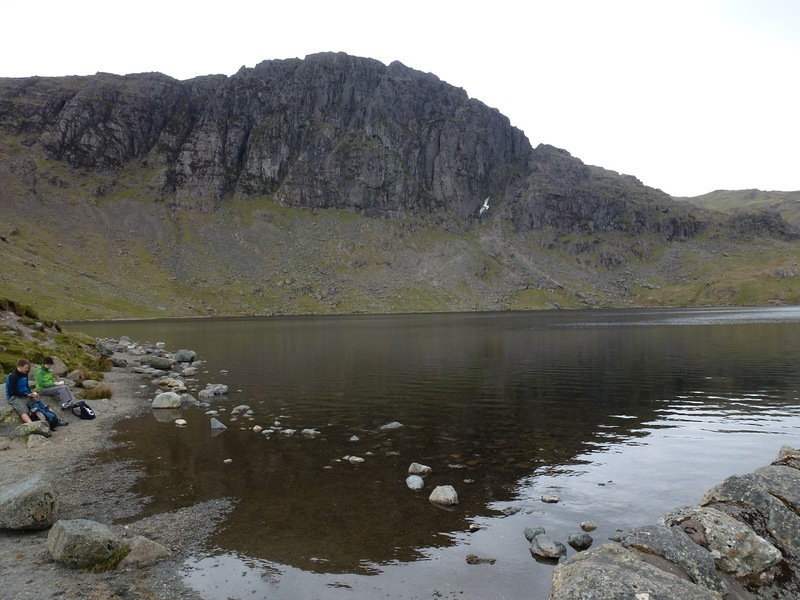 At Stickle Tarn, I turned left and got away from all the people and had my first lunch (falafel wrap, crisps from M&S). I found the start of Jack’s Rake and almost immediately felt I was entering into climbing rather than scrambling, retreated, and then went and located the real start to the Rake just a few metres away. This was fine until I reached a section I just could not get up. I could have moved to the left but felt that to do this I needed to be wearing a hard hat. I know that lots of people go up here without one. 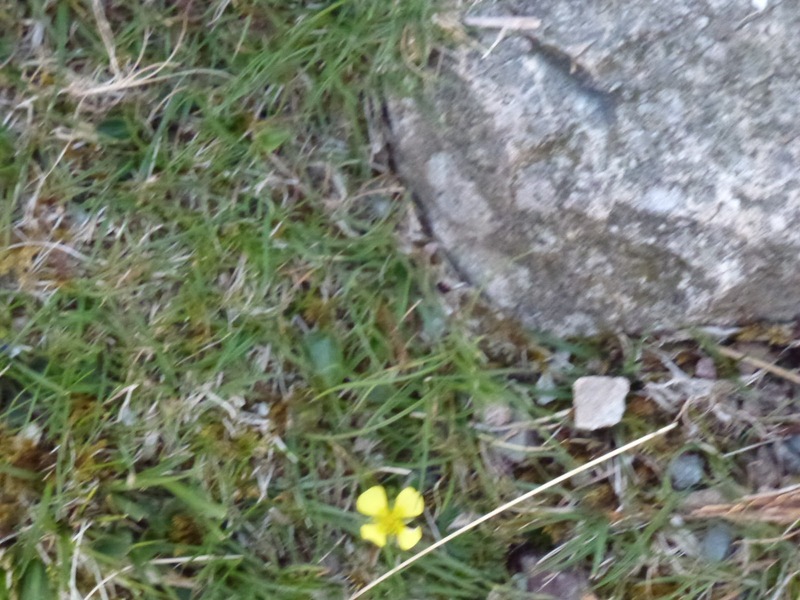 I think also by this time I was feeling rattled so despite this hard won 50 metres of height gain, I again retreated. Part of me kept saying “if David Dodwell can do this, so can I” but by this time my confidence was dwindling. DD is an ex-colleague, lovely man and very fit! I was annoyed with myself as the conditions for doing the Rake were perfect, no wind, no rain. So then onto Easy Gully, Wainwright says this is fine except for one section where you need long legs. Fine it was until I reached this huge block of rock. I helped a teenage girl get up it by pushing on her bum (I told her I was going to do this and it was the only bit I could reach! 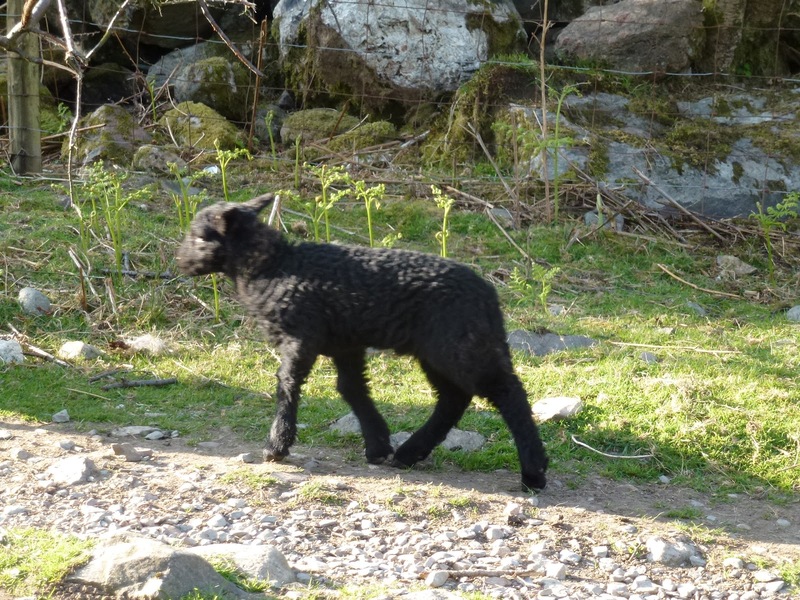 ), her friend or relation was pulling her up so I told him, once we’d got her up, that this is not a wise thing to do (because her weight, even though she was very light, would still be enough to pull him down, and I have just learnt this on ML training). Despite me chiding him, he very kindly offered to help me up, but I said if I couldn’t get up under my own steam I would go back down again. I tried looking for alternative ways to get round the rock but it really was the only way. During one of these, I slipped back down a rock and banged my knee. I just couldn’t do it and have no idea how this party which included a small child and a dog, managed to get up there. Let alone AW! Another retreat, back down 100 metres. Time for my second lunch which was almost identical to the first! By this time I was starting to feel even more tired and fed up, but didn’t want to waste having driven 110 miles. I contoured round to what AW describes as a grassy slope. It no longer is as it’s been converted to a very good path, you can just see where the grassy slope was in places. This got me up to the top of Pavey Ark at last. It was now well after 4pm and I needed to think about going home. So instead of skipping around on the tops gathering lots of Wainwrights very quickly, I had to go back down. 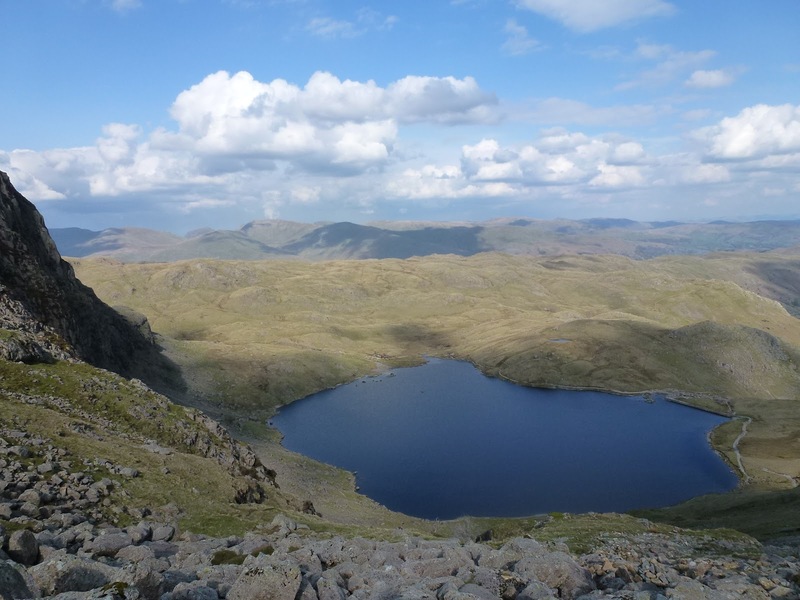 I headed in the direction of Harrison Stickle, contouring around to reach the path. I passed a laminated photo of a child which someone had fairly ineffectively secured to the ground. Whilst I’m very sorry that the child has died, I can’t understand how anyone can think this is a good idea. All it needs is a big wind, which will probably be quite soon and then this just becomes detritus. 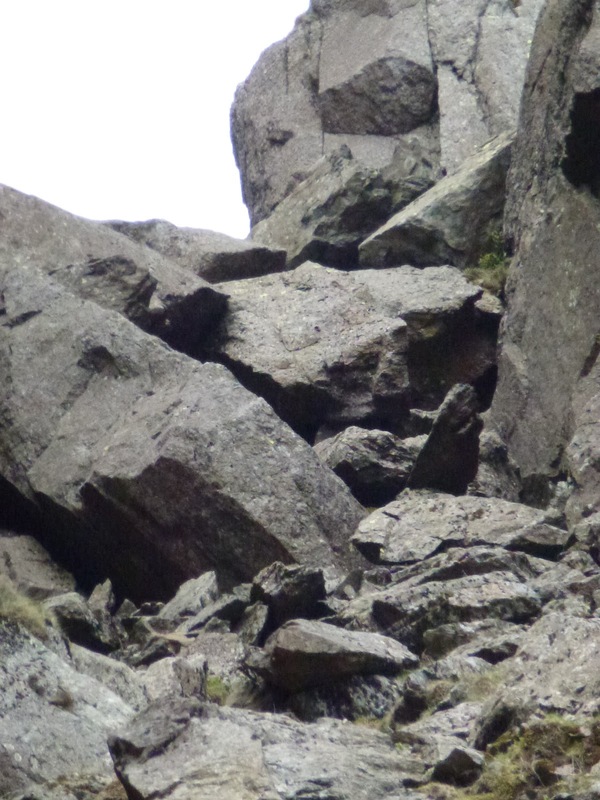 Lots of interesting rocks on Pavey Ark, some with big blobs stuck on and lots which look as if they’ve been sand blasted, which they probably have as it’s a form of volcanic sandstone. Just found out these are created by vesicles, pockets of vesicular gases which were created when the rock was molten. I chatted to a man and boy going up as I went down. I’d seen them earlier. They also had bottled out of Jack’s Rake and also failed Easy Gully. What a misnomer that is. So it wasn’t just me but this didn’t make me feel any better. The walk back down to Stickle Tarn was quite quick but the path back to Dungeon Ghyll seemed to take forever. I arrived back at the car just after 6pm and ate 2 energy bars. This was not a Quality Mountain Day for me, but more a day of frustration, stress, tiredness. Weirdly it probably does fit into the ML remit for one, see below. No navigational incompetencies but very little achieved. It felt like all I did was either go up or go down without the relief of a little bit of flat. I did about 150 metres on top of the actual height of Pavey Ark (700m). I used my Magellan GPS booster which extends my phone battery life and improves the GPS reception. Along with Memory Map on the phone, this worked really well and I’ve finally got a track of my route on my PC. I did 9 km in 5.5 hours. It does show however that I swam in Stickle Tarn, which is something Chris would do, but not me! Now of course, I can’t help but think of other meanings for QMD! None for publication here though! Since I wrote this, 2 people have died on Jack’s Rake, one of them was a man who is related to a woman I work with and the 2nd a woman a week later. It is not an easy scramble and needs real care and preparation.